Description: This module is a T1-TRAK junction that allows us to have a T1-TRAK section; however, it has most commonly been used, along with Reed Brothers Hardware, to create a setup track on the end of a loop as was done at the Bunker Hill Train Club Show in April 2013. 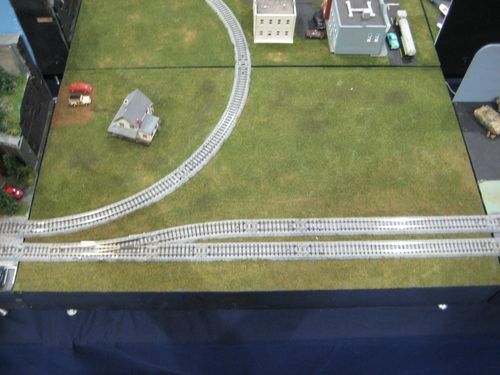 The junctions were used for T1-TRAK sections at Greenberg's Toy & Train Show in 2008, the World's Greatest Hobby Show in 2010, and at the NMRA Minicon in 2011. My daughter, Emma, loves horses. This module is going to be the location of a nice farm for all of the horses that she has collected.